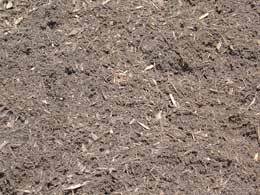 Mulches provide a finished look in garden beds and can help regulate soil temperature, control moisture loss, suppress weeds and control erosion in garden beds. Red colored mulch is ground wood material dyed with water based paint. It has no added herbicides, or pesticides. Available in bulk (by the yard), we stock large quantities of red colored mulch year-round. Black colored mulch is ground wood material dyed with water based paint. It has no added herbicides, or pesticides. 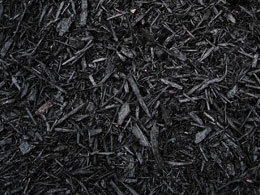 Available in bulk (by the yard), we stock large quantities of black colored mulch year-round. Our dark mulch is manufactured here on site. Our mulch is double processed and is dark brown almost black in color. This all natural product is ideal for flowerbeds. Available in bulk (by the yard), we stock large quantities of dark mulch year-round. 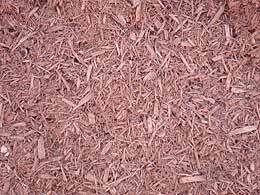 Chocolate colored mulch is ground wood material dyed with water based paint. It has no added herbicides, or pesticides. 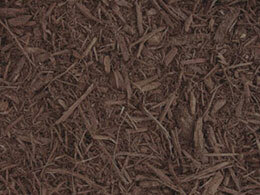 Available in bulk (by the yard), we stock large quantities of chocolate colored mulch year-round.